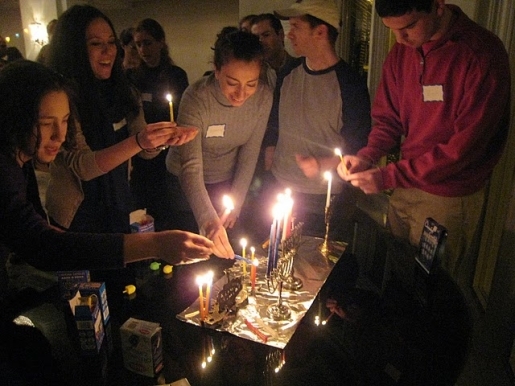 Last night, at sundown, the Jewish winter holiday of Chanukah (or Hanukkah, or Chanuka) began. Weirdly, despite being the holiday where gifts are given, it’s not a huge deal to the Jews, unlike Passover, but it’s still a Jewish holiday, celebrating the victory of the Jews over the invading Greeks and the miracle of the oil in the temple. However, Jewish reggae artist Matisyahu wonders why there aren’t a lot of Hanukkah songs out there, given the prevalence of Jews in music. Weirdly enough, do you know who has a Hanukkah album? Senator Orrin Hatch, from Utah. That’s right, a Mormon songwriter and the senior Senator from Utah has a Chanukah song, which you can download for free from Amazon. After all the Christmas songs written by Jews, it’s about time a Christian returned the favor and wrote a Chanukah song, isn’t it? Have a happy Hanukkah, my Jewish friends. Be careful when lighting your menorahs!